Adult Surf Camp is the best way to learn how to surf if you're no longer a kid or a teen. 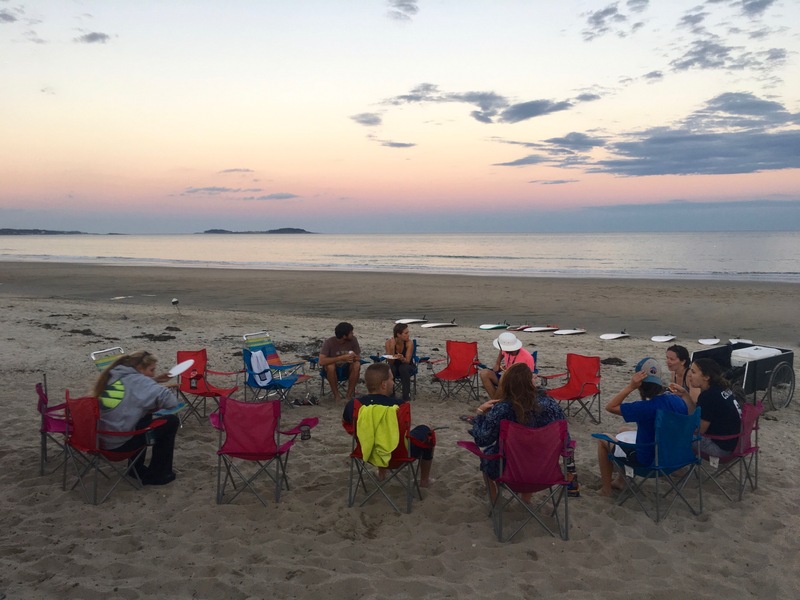 Our 4-day evening program is the only offering of its kind, designed specifically to provide adults with the foundation they need to become competent surfers. Whether it will be your first time on a board or you are looking to advance your skills, there is no better way to do it! All sessions are 5:30 - 7:30pm at Scarborough Beach State Park. After you arrive at the beach and pick up your gear, we'll start each session with a brief 'beach lesson' in which you'll learn the key aspects of being a safe and confident surfer. Each day we'll go over different skills and key information, ranging from basic ocean safety and surfing fundamentals to essential topics like "surf etiquette." 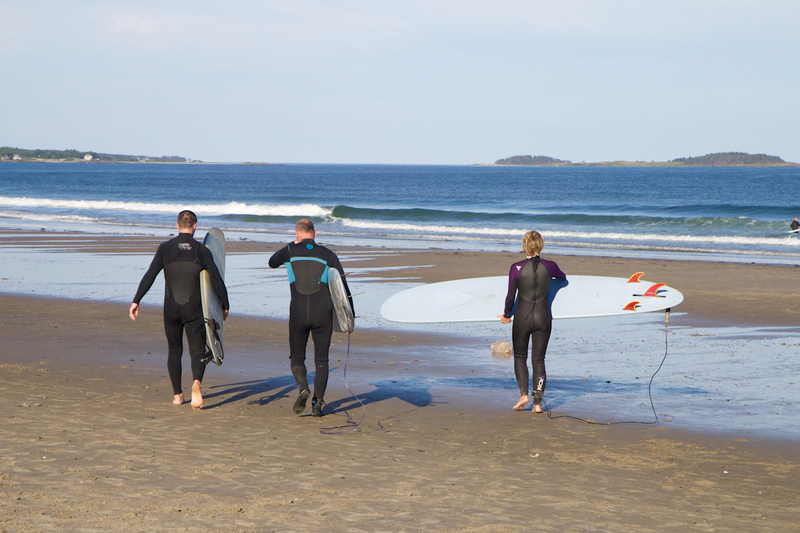 We'll break into groups of approximately 3 people for each surf session. At any time during the roughly 1.5 hour session, you can take a break on the beach where we'll have our camp set up with places to sit, snacks, and refreshments. As you progress through the week, you'll receive personal guidance to help you advance your skills no matter where you're at. From the basics of catching waves and riding the white water to more advanced skills (duck diving, riding the open face, making a bottom turn, etc), every session we'll work with you to help you improve and get comfortable in the water. 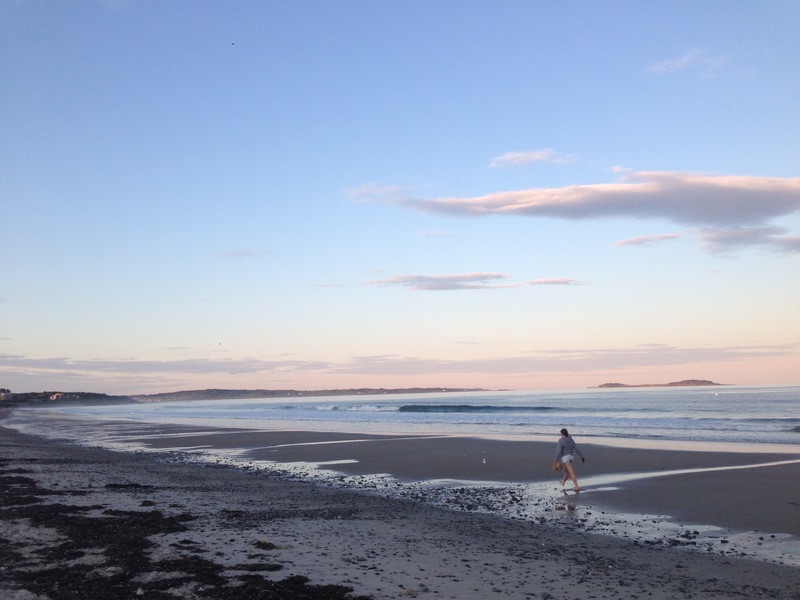 Scarborough Beach is a beautiful setting for your introduction to surfing. 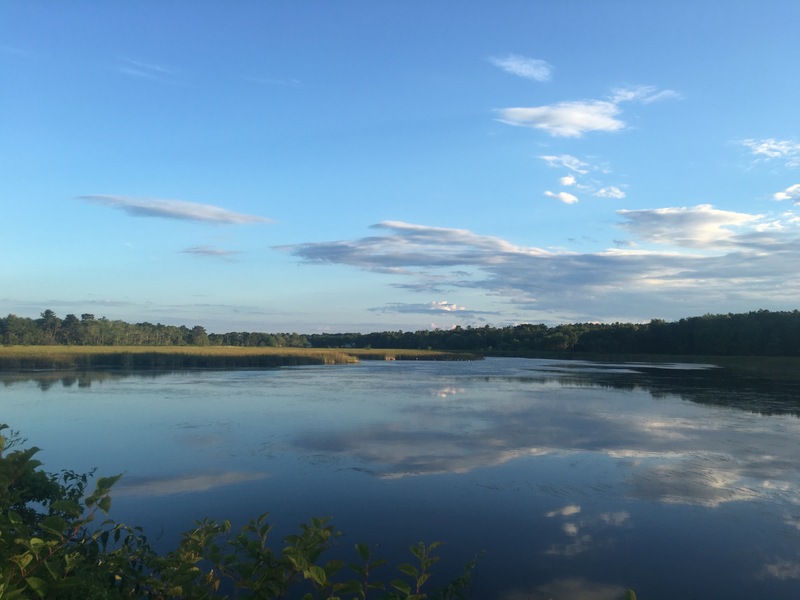 Meet New People, Hang Out, and Enjoy the View! 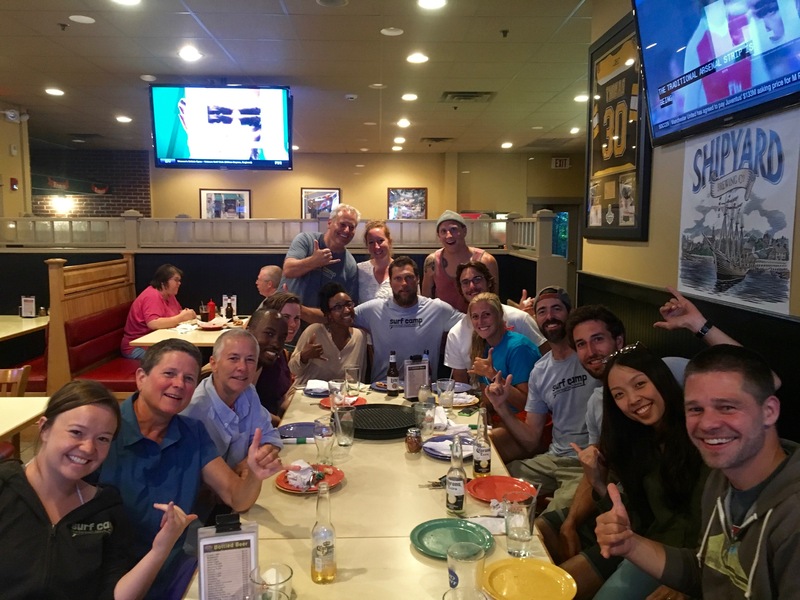 The small group environment (with the total program size being about 12 people) is a perfect setting for making new friends and future surfing buddies. After we're worn out from a good surf, there's no better way to wrap up the evening than by hanging out with a cold drink and watching the sunset. On the last day, we'll cap off our week of surfing with a celebratory pizza party on the beach. Can't beat Scarborough Beach at sunset. When our last night gets rained out... we move down the road! Massacre Pond, on your way down to the beach. Previous Experience: For first time surfers and those looking to advance their skills. 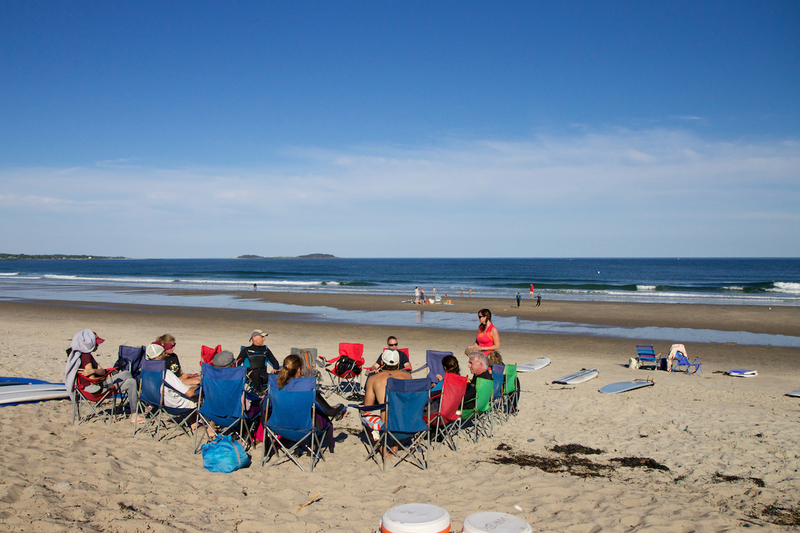 Guidance from the most experienced surf instructors in New England! Please review our refund and cancellation policy prior to booking.